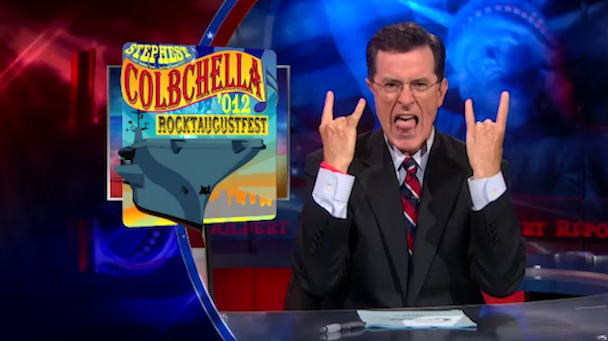 By acting fast, Stephen Colbert is beating Coachella to the festival-on-a-boat thing. In just over a week, he’ll have a seriously impressive lineup of artists playing on the World War II aircraft carrier U.S. Intrepid. 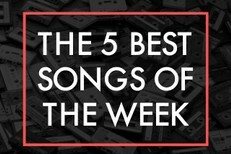 The show’s lineup: The Flaming Lips, Grizzly Bear, Santigold, Grandmaster Flash, and Fun. That’s pretty good! Watch the video of Colbert announcing the show below. The show goes down 8/10, and you’ll be able to get free tickets from Colbert’s website.